Here, CCL Wetrooms highlight how to support active commute in the workplace. Cycling reduces costs for businesses in relation to company cars and business trips. Every kilometre covered costs between 35 and 65p when all the costs are added up. With an average mileage of 15,000 kilometres in business travel made every year, it can cost between £6,000 and £9,000 a year. If a small company with twenty employees and eight company cars were shifted just 10% of its business trips to bicycle, they would achieve savings of between £12,000 and £18,000 a year. Bikes are also smaller than cars. You can park 6 or 7 bikes in one parking space. As such bike parking facilities require less space and can often even be set up in places where a car park isn’t possible. The UK and Ireland offer tax exemptions for business who want to supply their staff with bikes. The so-called “Cycle to Work Scheme” was first introduced by the UK Government in the Finance Act 1999 to promote healthier journeys to work and to reduce environmental pollution. It allows employers to loan cycles and cyclists’ safety equipment to employees as a tax-free benefit. Cyclists are absent from work due to illness up to 50% less than those that drive. 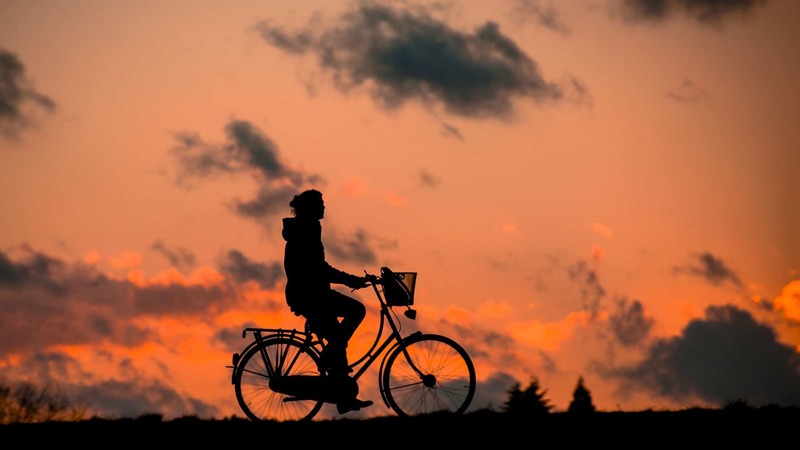 A study from the Dutch Ministry of Transport revealed that employees who cycle to work are ill less often. Just one less sick day per year equates to savings of around £200 per employee per year. Employees who cycle to work are more productive. According to the German Road Safety Council, commuters who travel by car have more complaints regarding health issues, difficulty sleeping and lapses in concentration. As cyclists are fitter in mind and in body than other commuters, businesses can enjoy greater productivity from employees who travel by bike. Cycling to work is good for you. Exactly how many calories you’ll burn will vary between depending on your speed and the route they take to work. But, cycling on average burns as many calories as jogging, with considerably fewer negative impacts on the joints. Cycling improves cardiovascular and aerobic fitness, lowers blood pressure, boosts energy, builds muscle, and improves coordination. With the costs of running a car removed, commuting to work is extremely cheap. When you add up the cost of running a car, including insurance, tax, fuel and repairs, commuting to work can cost over £7,000 a year. Conversely, buying a bike and maintaining it for the same period costs a fraction of the price. Whether it’s a bike purchase scheme or a mileage allowance, there are many ways you can incentivise employees to cycle for your mutual benefit. Make sure that any benefits are widely advertised and readily available. It’s all very well having a policy, but it’s no good if no one is taking advantage of it. Showers help make some people much happier about cycling to work, especially during good weather. Employers are including commercial showers and easy to manage wet rooms at the office for employees to use, or they’re seeking commercial office buildings with showers when signing leases. The reason workplaces are offering showering facilities for their workforce is because they benefit all sorts of active commuters, including cyclists, those who jog, or go to the gym during their lunch breaks. In addition to keeping your workplace smelling nice, your staff will be more productive and more creative. According to research, employees who break for showers during the working day are 42% more productive and a third more creative. After all, you do get your best ideas in the shower. An eight-week study across four businesses, including a restaurant, an architectural firm and a lingerie company, revealed that employees who took a shower at work in addition to their usual daily wash were more productive and their moods lifted. Staff at city restaurant The Chancery2 reported that over 10% had more fun at work and there was a 25% of staff felt relaxed and under control of their workload. Lockers are useful for storing cycling gear during work hours. When it’s rainy, having somewhere to dry wet clothes is also helpful. Even small businesses can achieve this with enough cupboard space and a decent dehumidifier. Secure and convenient cycle parking at workplaces makes all the difference and accommodating several cycles is much less costly than providing space for just one car. Ideally, cycle parking should be near the premises, easy to reach, protected from the elements, secure and well designed. If there is nowhere outside to build a shelter, there may be somewhere indoors that could be converted into lockable bike storage. A fleet of bikes, allowing employees to book one out for meetings and errands is a good way of building up a cycling culture at a workplace. It offers staff an efficient, cost-effective and convenient transport option, especially for local meetings, travel between sites or lunchtime errands. You’d be surprised how far you can go during a lunch break if you have a bike at your disposal. Cycling can form a part of your larger corporate culture. If the idea of being a “green” business appeals to you, consider a cycling scheme in addition to recycling, charity work etc. The more “normal” living a greener life feels, the more naturally your staff will take to activities such as cycling. More on saving money and offering your employee perks.